An article about tourism in Taranaki. Thank you to our team at Renown PR and to the wonderful reporter and photographer at Stuff, an awesome team of people to work with! 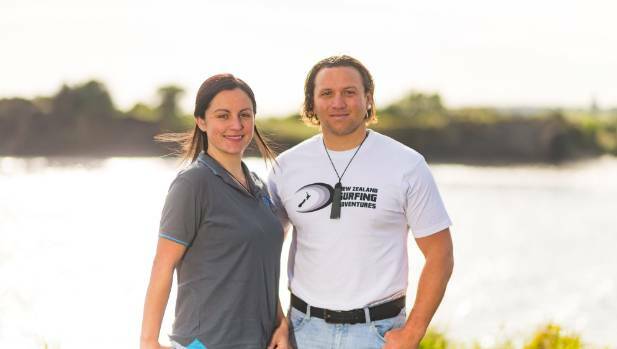 Gina and Tama Blackburn saw a gap in Taranaki’s tourism market and started Nau Mai Tours. It’s been almost two years since Lonely Planet named Taranaki the second best region in the world and tourism is still booming. New figures from the Ministry of Business, Innovation and Employment (MBIE) report tourism spending for Taranaki for the year to June 2018 at $396 million – a 12 per cent increase from 2017. About $83 million of that was by international visitors – up 15 per cent. They started New Zealand Surfing Adventures and noticed they were bringing people to Taranaki all the time and showing them around. With more people deciding to divert from New Zealand’s main tourist route and visit the region, Gina and Tama Blackburn saw a gap in the market and started Nau Mai Tours. 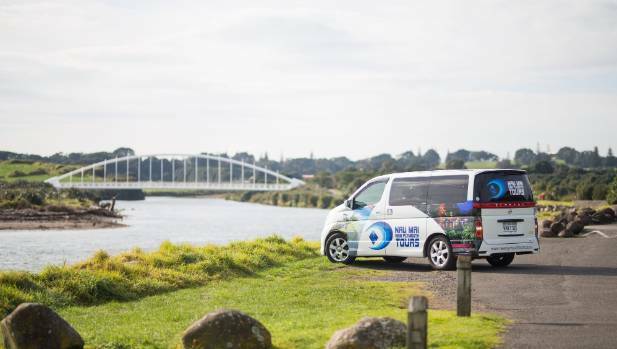 “We had New Zealand Surfing Adventures and we’d pick people up in Auckland and take them to places around the country and we found that we were coming to Taranaki quite a bit because we know the breaks a lot better than other places,” Tama said. They’ve catered to a range of customers needs from a private chef to mountain walks to a traditional Marae experience. Gina and Tama said they offer customised tours and whatever people want to do, they’ll make it happen. “There’s not a one hat fits all approach for us. We take what people want to do and go from there,” Gina said. Nau Mai has been in business for a year now and hope to increase their network with Taranaki locals to provide the most unique experiences they can. They want to put the region on display for those that live there as well and may not be aware of everything there is on offer. “We want to keep building our relationships with local businesses and iwi and share their stories,” Tama said. “Our tours are for locals too. You’ll ask a local what there is to do and they’ll give you the top five and anything beyond that, there’s nothing. But there is so much more,” Gina added.